We breakdown how ranks work and what a rank really signifies. Playing Ranked in Rainbow Six Siege can sometimes be confusing, but mostly because of its complex ranking system. Some players are left scratching their heads after playing their placement matches, stuck wondering why they got shoved into an unexpected rank. Here is a rundown of the Siege Ranking system. Siege Ranked play consists of a wide range of tiers. The ranks, from bottom to top, are Copper IV, III, II, I, Bronze IV, III, II, I, Silver IV, III, II, I, Gold IV, III, II, I, Platinum III, II, I, and finally, Diamond. Ranks are region-specific and reset at the beginning of each season, so every player has a chance to start fresh with the knowledge they gained from the prior season of Ranked play, according to Ubisoft. At the beginning of each season, players will take part in 10 placement matches and are awarded a rank. The Ranking system follows a modified version of the Elo/Glicko system, which was originally created for one-vs-one games, like chess, according to the support page. But how is Elo awarded? Well, that’s where things get a little surprising. Players are often confused when they end matches with better than average K/D ratios and don’t receive a notable bump up in rank or Elo. This is because the system does not take K/D into account, and players are not awarded extra Elo for their kill-based performance, according to the post. Rather, the main factors that decide each player’s rank is the rank of your opponents and if you won your match. Ubisoft emphasizes that Siege matches are not meant to be won by an individual, but through teamwork, which is why only the wins, losses, and opponent ranks matter. The Ranking system takes into account your opponents’ ranks in order to better judge what the outcome of the match means. If you’re playing with a squad of Gold I players and the other team is filled with Coppers, then you most likely will not see much awarded Elo. Conversely, if you’re matched with players who outrank you, then you’ll be awarded with a higher amount of Elo when you win. 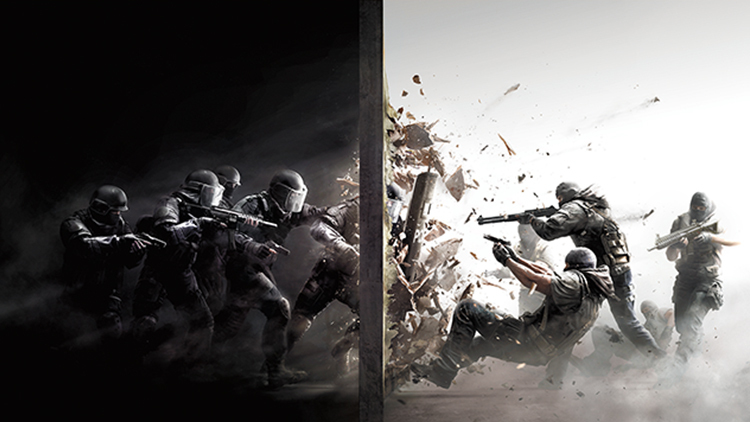 Ubisoft acknowledges that there are some exceptions to the way the Ranking system is set up. If a player is kicked from a match, quits, loses connection, or is AFK, then those matches will automatically count as a loss. In the event you are disconnected from a match, you can rejoin the match through the Ranked tab once your connection stabilizes. Rejoining a Ranked match may prevent the system from counting the match as a loss. Ubisoft also acknowledges that if the server goes down, then the system will treat the match as if it never took place. A player’s rank only really indicates one thing: their likelihood of winning a match. There is always the peculiar case of the awful “carried Plat,” in which a player with a high rank and no skill has somehow been carried through the ranks, most likely by playing with players who are more than capable. Sights like this are why players question the ranking system so often, and with good reason. It’s confusing to see someone who does not match your skill level have a higher rank next to their name. For players who wish to take an in-depth look at their performance, they can visit the Rainbow Six Siege Stats page for more insights into their own play style and analytics. Players who are looking to up their game can also take a look at Ubisoft’s R6 Academy, where the company highlights top-picks from Siege YouTubers who know a thing or two about high-rank play.